Burley Strength – The home of strength in the ACT. 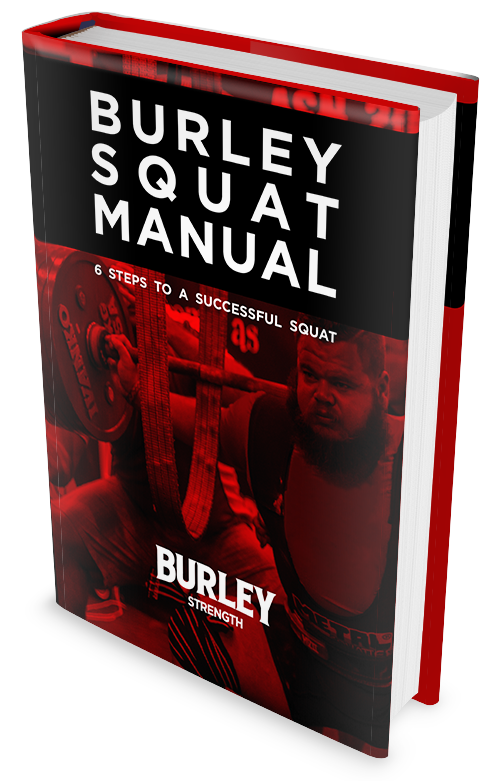 FREE Burley Squat Manual: 6 Steps To A Successful Squat. Surrender your name and email to Burley Strength. The eBook will arrive in your inbox shortly after. Burley Strength is a community of like-minded people from all walks of life, coming together to pursue a common goal. No performance prerequisites are required, just a disdain for mediocrity, a desire to become a better version of yourself and the willingness to work hard to achieve results. At Burley Strength we aim to mould humans who epitomise strength, both physically and mentally. This is achieved through a tailored membership that includes expert coaching, world-class equipment and an atmosphere that encourages hard work and breeds success. If you have a burning desire to become the best version of yourself then Burley Strength is the place for you. If you’re open to learning and ready to begin your strength journey then enter your name and email address below and we’ll be in touch with more information soon. The Burley Squat Manual contains 6 steps highlighting the most common technical issues in the squat and addressing a plan to fix them. Whether you’re squatting to build tree trunk legs, to increase your speed on the football pitch or because you want to be a world class powerlifter this book is for you! The best news of the day? IT’S FREE! Drop your name and email address in the fields below and there’ll be a copy in your inbox before you can lace your squat shoes. I came into Burley Strength as a somewhat experienced lifter, but coach John Sheridan has taught me more in the past 12 months about technique, recovery and gaining strength than in my past 10 years training in regular gyms. Not only this but he always has my back in my training and in competition. Burley Strength always has a great bunch of lifters at the gym, it's down to earth, there's no mirrors, no expensive gym gear and no bulls*t. It's a comfortable and welcoming environment for women and men of all shapes, sizes and experience levels who want to train hard and enjoy themselves. After training alone for a year, my lifting had stalled. I decided to check out Burley Strength and see what training in a real powerlifting community would be like. My squat has improved by 20kgs since joining, and my confidence in my lifts has grown in tandem. Sherro’s coaching has helped me not only get stronger, but to lift more proficiently and pain free. He has cultivated a gym culture that gets results and encourages people to train with purpose. Burley Strength is not a cookie-cutter globo-gym. There are gym goers of all ages, genders and vocations, united in the mission to get stronger and help each other along the way. I’ve never liked gyms, but Burley Strength has changed that." At 53 and having spent more time in gyms than I care to remember, I needed something different. My youngest brother suggested I try Burley Strength which had recently opened in the nation's capital. I not only found the motivation I needed, but also a knowlegable coach in John Sheridan. Over the past couple of years John has added 145kgs to my total (235/200/245) and coached me to an Australian and world records. You want to get strong in a supportive and friendly atmosphere? You can't go past Burley Strength!" Copyright 2015 - Burley Strength - All Rights Reserved - Fuelled by Outerspace - Made in Australia with 36 Cups of Coffee.